This past year presented a number of personal challenges, most of which, we’re glad to say, ended positively. It was also a time full of many lovely, wonderful and beautiful things to be thankful for, chief among them the kindness and thoughtfulness of others. Of special note was the nomination of Diary of a Tomato for the Liebster and Illuminating Blogger Awards. With the wealth of good work being put out in the blogsphere, we’re grateful to Lara at Noms The Word and Jenna at Delicious Day Dreams for thinking of us, and honored by this recognition from fellow bloggers. 1. Skippy’s Vegetable Garden: Before we became gardeners, we lived vicariously through Kathy and her 4-legged companion and blog namesake, Skippy. We followed avidly the progress of their garden through the seasons, closely studying the raised beds and their contents, and as it expanded to include an enviably large community garden plot. Located near Boston, this garden made growing our own vegetables seem possible. 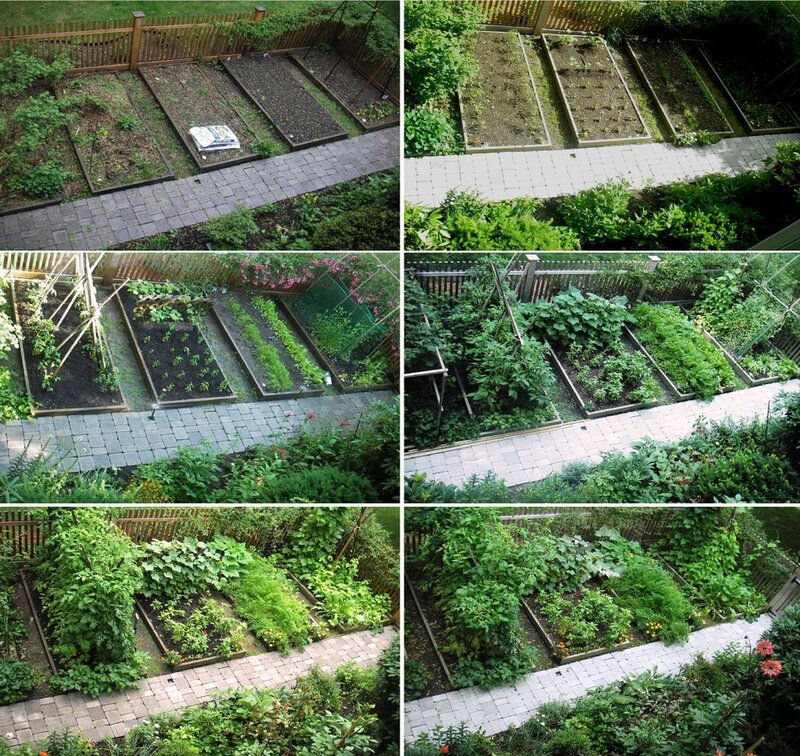 Make sure to scroll down the sidebar for an aerial view of how a garden changes from start to peak. We look forward to seeing Skippy create a new garden next season after their move. 2. Daphne’s Dandelions: Daphne generously hosts Harvest Monday, a place for gardeners, including novices and veterans alike, to share their own successes and failures. The weekly check-in gathers contributors from around the world, and it’s always heartening to see how many others have taken up growing their own. A scientist by training, she keeps a running tally by weighing meticulously each week’s harvest — from a sprig of parsley to the largest cucurbita, it all adds up. Like Skippy, Daphne’s garden is located near Boston, and, chances are if it grows there, it may grow here as well. Every season we particularly enjoy seeing her beautiful selection of dried beans. 3. From Seed to Table: It was through a search for information on growing Italian vegetables that we came across Michelle’s blog. Her growing conditions on the coast of Northern California are surprisingly similar to our own, albeit without the interruption of a New England winter. The range and variety of heirloom vegetables Michelle’s cultivates is outstanding, and her experiments well worth following, whether it be growing capers, saffron, or, more recently, wheat. 4. Suburban Tomato: At a time when our own garden is dormant, it cheers us up to visit Liz’s in Melbourne. Halfway around the world from us, her seasons are a lovely reverse mirror of our own. We’re particularly enamored of her capsicums and the chili sauce she makes with them, and frequently wonder what Top 5 things may be on her mind. Her posts on “Are Farmer’s Markets more expensive?” and “Top 5 — Ways in which Kitchen Gardening is a political act” are thoughtful reminders of the larger reasons for why we garden. 5. Garden to Wok: Whether it’s a growing a new vegetable or investigating different storage techniques, Norma approaches each with ingenuity — just see how she solved comparing three varieties of parsnips to find out which tasted the best. This Master Gardener’s special knowledge of Asian vegetables expands the possibilities of edible gardening for us, and has us considering growing and cooking bitter melon, sweet potato vines, and a Taiwanese lettuce called “A” choy. At the beginning, Diary of a Tomato was meant as a way of recording our garden. Since then, it’s become more than just a place to store information. We’ve become part of a larger community, both virtual and real. We appreciate it when you drop by, dear friends, and though we may not be able to regularly respond to comments, we read each and every one with appreciation and delight. We hope you’ll continue to visit, and together we’ll see what the new year brings. 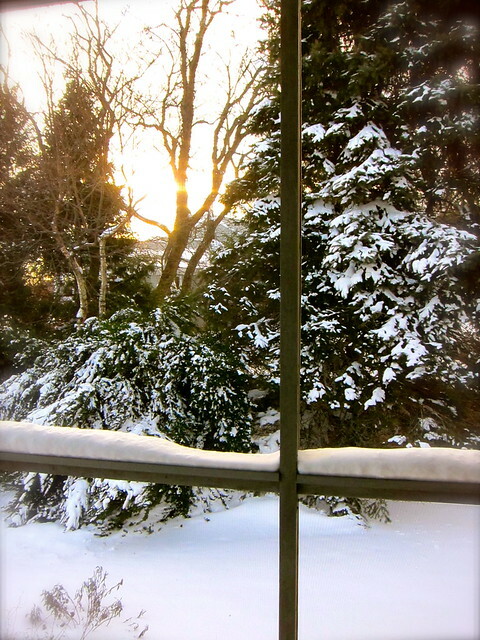 This entry was posted in garden, interlude and tagged awards, illuminating blogger award, liebster award, snow. Bookmark the permalink. Congratulations! Thanks for the mention. I had no idea that I had inspired and encouraged you. Actually it is other way around as I have learned so much from your posts. Well-deserved awards! Being new to the area, we have enjoyed knowing more about farmers’ markets, interesting vegetables/fruits, how to preserve them and how to prepare them for the table. Hey, congratulations! You deserved the recognition and the awards! Thankyou so much – I really appreciate it. I love your blog – your passion for local food and quality produce is inspiring and I love both your writing style and beautifiul photography.